This mint syrup recipe makes enough for 44 mint juleps. 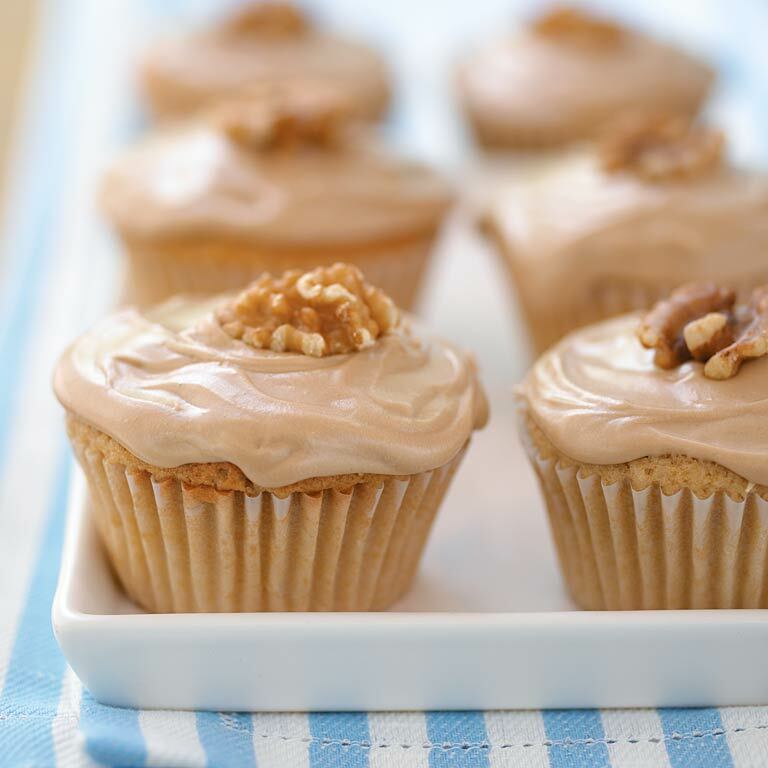 Store any leftover syrup in the refrigerator, and use to sweeten iced tea. 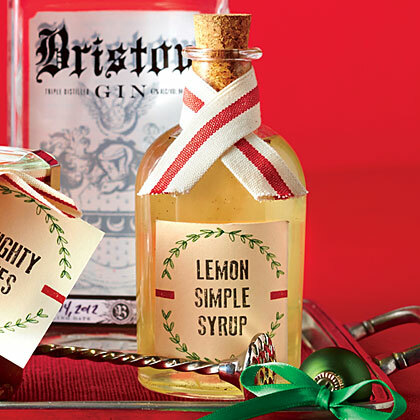 Simple Syrup provides the perfect balance of sweetness to cocktails and iced tea. Simple Syrup is used to add sweetness to Apple, Lemon, and Gin Shandy cocktail. Does Syrup Ever Go Bad? And how do you save moldy syrup? Lemon Grass Syrup adds a citrusy sweetness to your favorite cocktail. 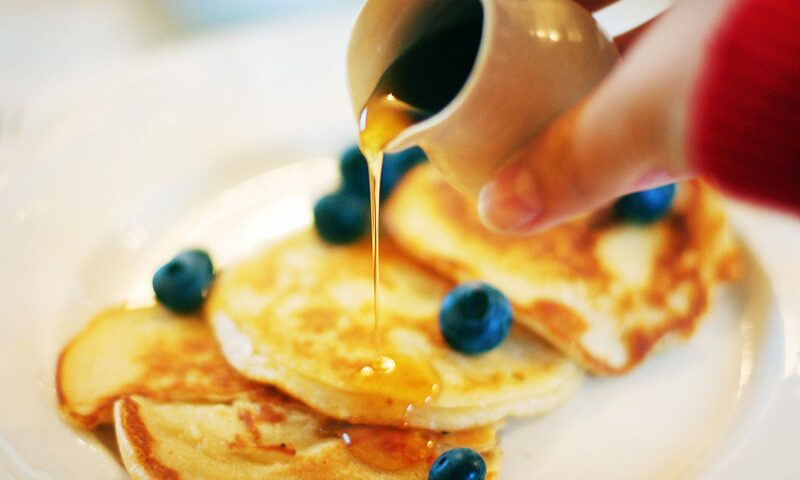 You can prepare the Syrup up to 1 week ahead of time. This Simple Syrup has two instructions: combine and shake! Use in cocktails, sauces, and desserts. The South's favorite grape is delicious when served as Muscadine Syrup. Muscadines are rich in antioxidants, making this fruit a very healthful snack straight from your garden. Cucumber Simple Syrup enhances the flavor of Cucumber Mint Julep. 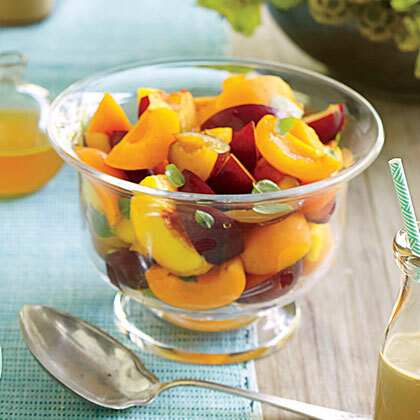 Fruit Salad with Citrus-Basil Syrup incorporates a medley of juicy flavors like peaches, plums, and apricots. 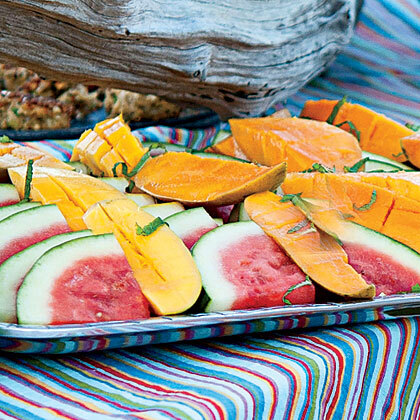 The zesty syrup makes a perfect finish to the Fruit Salad. 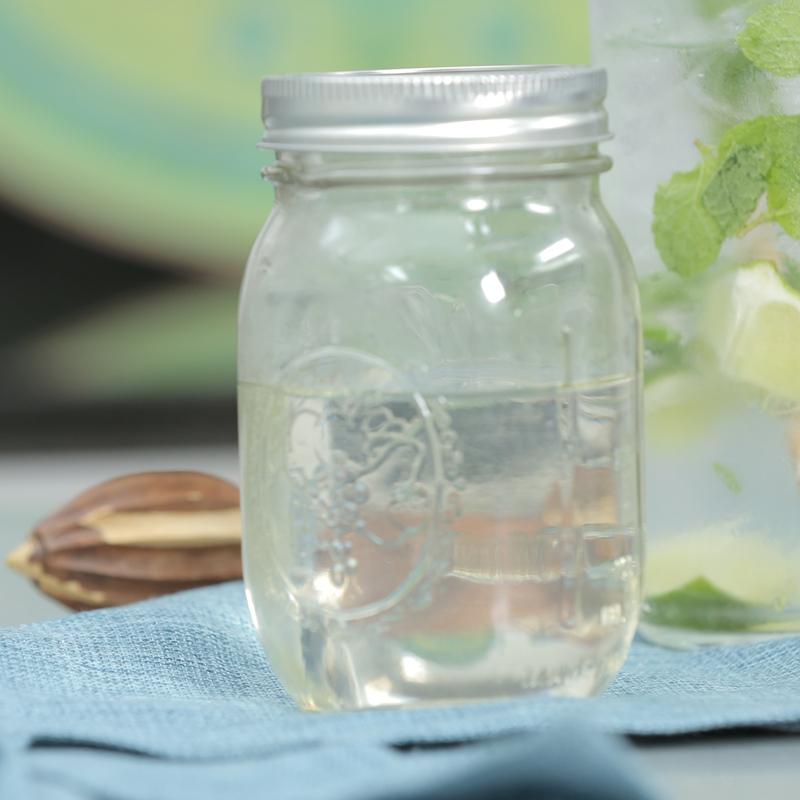 Use Ginger-Lime Syrup to sweeten a favorite cooler like our Cucumber-Ginger Limeade. 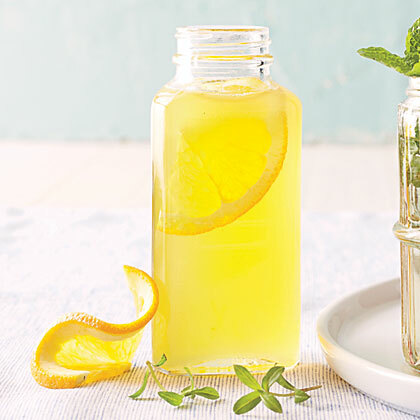 Refreshingly sweet and citrusy Orange-Tarragon Syrup is just the thing to perk up your drink. Easy Lavender-Mint Syrup will perfume your kitchen and flavor your iced tea or cocktail with fragrant lavender and mint. 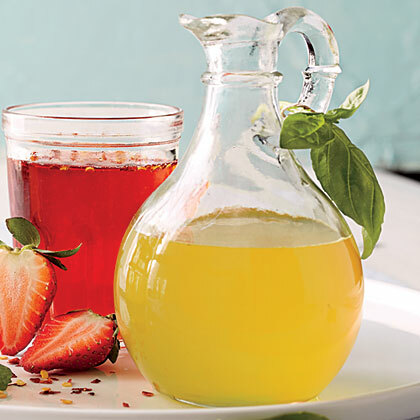 Red pepper adds a spicy kick that acts as the perfect complement to sweet strawberries in Strawberry-Chile Syrup. 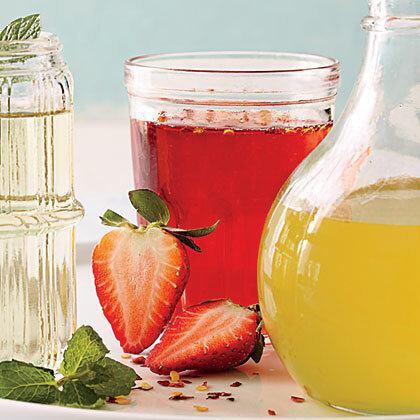 Keep Strawberry-Chile Syrup in your fridge all summer long to give your iced tea or cocktails an extra-fresh zing. 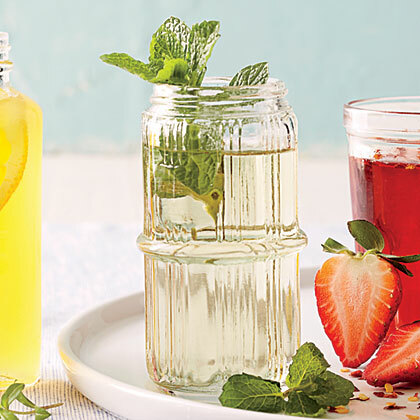 Give your iced tea or cocktails an extra-fresh zing with Pineapple-Basil Syrup. The relaxing, tropical flavor of pineapple is the perfect way to welcome porch season. We keep this dessert of Summer Fruit light by drizzling with citrusy Cardamom-Lime Syrup.